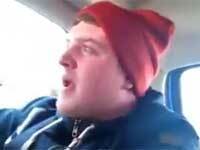 White guy tries singing a punjabi song while on a road trip with friends. Submitted by monkey on Fri, 12/21/2012 - 12:47am. 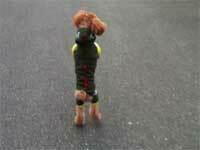 Poodle does a trick and walks exactly like a human would. Submitted by monkey on Tue, 12/18/2012 - 1:25am. Guy pretends to be doing a survey about the effects of mistletoes on people, and tests their answers. Submitted by monkey on Fri, 12/14/2012 - 1:18am. 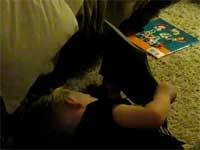 Three-year-old boy gets "caught" reading to his dog. Keep watching for the cute reaction. Submitted by monkey on Fri, 12/14/2012 - 1:06am. 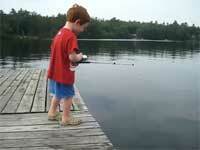 Little boy catches a fish in record time. If only it were always that easy! Submitted by monkey on Thu, 11/29/2012 - 2:00am. Just taking a picture by a calm tiger, oh crap! Submitted by monkey on Tue, 11/27/2012 - 2:55am. Guy steals a known bait car just so he can be on TV. Submitted by monkey on Wed, 11/21/2012 - 2:20am. 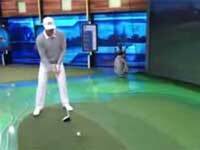 Long-drive golf champion Jamie Sadlowski breaks the Golf TV simulator. 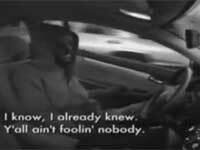 Submitted by monkey on Wed, 11/21/2012 - 2:17am. It has been a long day for this businessman and he's had a little too much to drink. Submitted by monkey on Fri, 11/16/2012 - 1:08am. 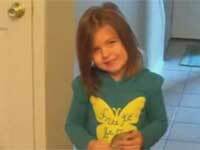 Parents Tell Their Kids "I Ate Your Candy"
Parents send in videos to the Jimmy Kimmel Show of them telling their kids that they ate all their halloween candy. Submitted by monkey on Wed, 11/07/2012 - 1:26am.